Sultan Ahmad Shah of Pahang, Sultan Ibrahim Sultan Iskandar (Johor) and Sultan Nazrin Shah (Perak), three sultans closest to becoming the Agong under the rotation system. 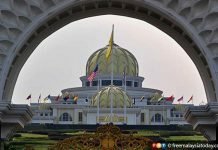 PETALING JAYA: All eyes are on the Conference of Rulers, as the body representing the Malay sultans prepares to meet to decide the next Yang di-Pertuan Agong following the resignation of Sultan Muhammad V today. Lawyer Abdul Shukor Ahmad said it would be interesting to see how the Conference of Rulers exercise wisdom in picking the monarch, who is chosen based on a unique system of rotation of the nine sultans every five years. Shukor said the rulers were bound by the constitution to allow the next in line to become the Agong. 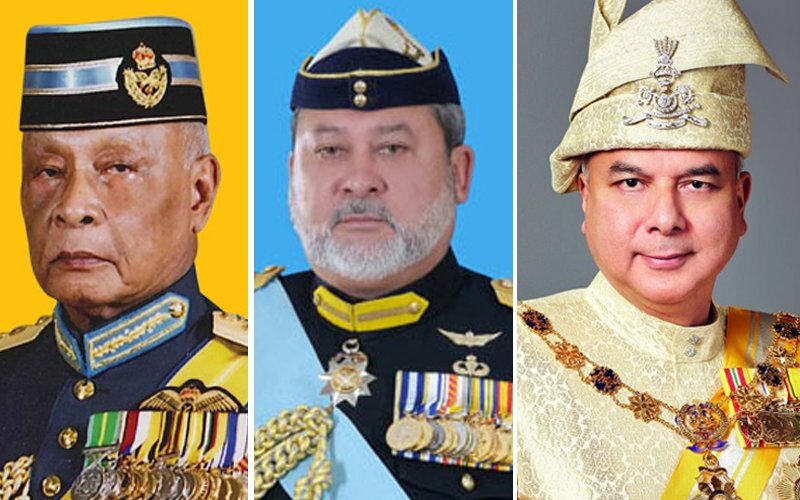 Under the rotation system, the next in line is Pahang’s Sultan Ahmad Shah, followed by Sultan Ibrahim Sultan Iskandar of Johor and Sultan Nazrin Shah of Perak. Sultan Ahmad Shah is believed to be not in the best of health, with crown prince Tengku Abdullah carrying out the duties and functions of the ruler. “The position of the Agong requires the attendance of ceremonies which could be physically rigorous,” Shukor told FMT. As such, he said it would be interesting to see whether the Sultan of Johor would be keen to assume the post. In the last exercise to elect the Agong, it was reported that the Johor ruler had declined the position. Sultan Muhammad V’s resignation today is the first time that an Agong has stepped down. The 49-year-old Kelantan ruler was elected by the Conference of Rulers on Oct 14, 2016 to become the 15th Agong. His reign began two months later, taking over from Kedah’s Sultan Abdul Halim Shah. His resignation comes after days of social media speculation at the end of the sultan’s two-month leave. 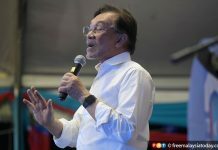 His short reign saw the peaceful transfer of power to Pakatan Harapan, following Barisan Nasional’s historic defeat in the general election last year. Explaining the Agong’s succession system, lawyer Lim Wei Jiet said the process takes into account an “election list” arranged according to the states in which the first to the ninth Agong belonged. 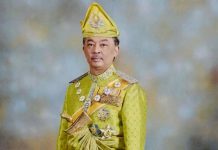 “The State Ruler at the top of the ‘election list’ shall be offered the Yang Di-Pertuan Agong post,” he said in an article on the succession system. But Lim said even the next in line for the throne could be sidelined through secret ballot votes by the rulers. He said although the governors of Melaka, Penang, Sabah and Sarawak are part of the Conference of Rulers, they do not have voting rights. He said the government too has no say in the whole process of appointing the Agong. “Although Malaysia is a constitutional monarchy, this is one of the areas in which the State Rulers have absolute discretion,” he added.